GUERRA NUCLEAR A DIARIO EN CUBA, originally uploaded by orlandoluispardolazo. WELCOME SPAIN…?, originally uploaded by orlandoluispardolazo. ADIÓS A ALEMANIA, originally uploaded by orlandoluispardolazo. Cubans have a constitutionally recognized right of association. But it is necessary to distinguish between constitutionally endorsed rights, and state recognition of the legal status of an association as an entity capable of assuming rights and obligations. That recognition is what enables an organization to exercise its legal capacity. 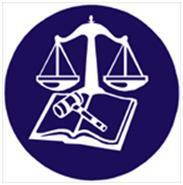 In Cuba, associations are formed in accordance with the requirements of the law. The Law of Associations (Law 54 of December 27, 1985) and its regulations set out those particulars, and once an association complies with them, it is recognized as a legal entity. Nevertheless, for an association to come into existence, first it is necessary for the entity to be formed, and second, it must receive state or legal recognition. The first step is linked to the will of those concerned, to the act of a group of people coming together to achieve a goal, or setting aside some asset to accomplish a particular purpose. The law does not impose any requirement that future members of the association show their intention of creating the same thing, it does not require that they demonstrate their willingness in a public writing, following the norm. The second point refers to the fact of legal recognition, which is the last stage, the registration of the legal entity. Its legal existence is accredited with the certificate prepared by the Registry where it is issued (Article 18 of the Associations Law), which indicates the purpose of its registration. The legal system will not recognize any group as an association that is not listed in the Register of Associations. To be legally constituted, the group needs the authorization of a state body, which requires an investigation of legality and appropriateness. The permit is a discretionary administrative act issued by the administration (Ministry of Justice) at the request of a party, in this case, of the founders or group of people interested in fulfilling a societal goal. The law allows associations only for certain purposes: scientific, cultural, artistic, athletic, friendship and solidarity, and any others that promote goals of social interest. The formation of political organizations is implicitly prohibited within the constitutionally-sanctioned single-party system. It excludes social and mass organizations, churches or religious associations, agricultural production cooperatives, credit and services cooperatives, and others (Article 2). The State recognizes the validity of the goal and the opportunity that arises from an independently functioning entity in the life of society. It evaluates the entity’s social, non-profit aim. Among the necessary elements it takes into account is its social legacy, which becomes the most important element for its constitution. Author Translating CubaPosted on July 9, 2010 July 28, 2010 Categories Laritza Diversent, Translator: Tomás A. These have been remarkable days. From the time it was known that the Spanish Foreign Minister Miguel Ángel Moratinos had on his agenda the topic of releasing a significant number of political prisoners, people started to sit up and take notice. Never before has a telephone been as important for me. The uncertainty was making me crazy. Neither the mobile nor the land line were ringing. Surrounded by crackers, roasted peanuts and mango juice I sat glued to the Sony shortwave radio, listening the soccer games and waiting for the good news. In the dissident sector there existed — and does exist — many doubts and misgivings. And no wonder. The behavior of the Cuban government over the last 51 years is hardly something that inspires optimism. Saturday, July 3, the rumors started. Everyone was talking about the famous list. We called it, “Castro’s list.” The number that it comprised was like a charade. Some were saying no more than five would be freed. Others swore that a good sources assured them that all the prisoners of conscience would be out on the street. 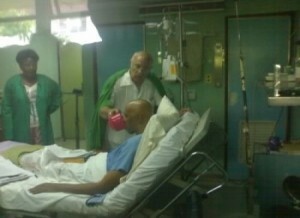 Speculations came and went and I stayed in touch with the different families of the political prisoners. No one knew a thing. Not even a single figure of the opposition. Until the independent journalist Pablo Pacheo, sentenced to 20 years in April 2003, gave to a reliable tip. But the news came as a surprise to me and in the least expected way, on Wednesday, July 7. While biting my nails to the quick watching the semifinal match between Spain and Germany, because the Iberians’ goal wasn’t coming, the telephone rang. It was my mother, the journalist Tania Quintero, from the prudish and distant Swiss city of Lucerne, in a choked voice, telling me that the reporter in Cuba’s TVE just reported that the 52 remaining prisoners from the Black Spring of 2003 would be released. I told her I would call back in ten minutes. I wrote a note and read it over the phone. Then I called the various families who still didn’t know. Lidia Lima, wife of the economist Arnaldo Ramos, listened to me in silence. I thought the call had been cut off. But she was crying so hard she couldn’t speak. Then I called to Ciego de Avila, to Oleidys Garcia, Pacheco’s wife. She was watching the soccer match with Jimmy, her 11-year-old son. She was mute. And then started to cry, nervously. She said it didn’t matter if her husband was on the list. “What matters is that a new road has opened up…” she was telling me, when Puyol got a header, Spain scored, and we were so excited we decided to talk again in a minute. In this hot and humid Havana, the names on “Castro’s list” are still unknown. 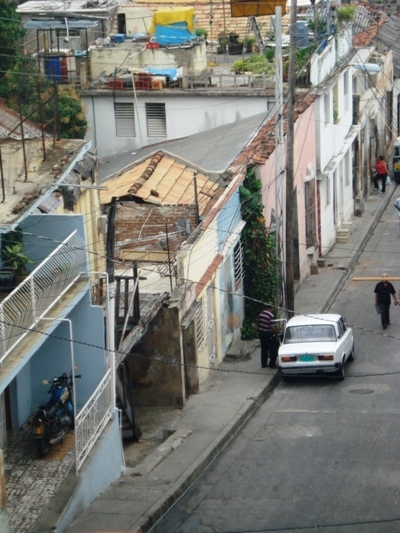 The secrecy and paranoia is typical of the Cuban government. Although no dissident should ever have been imprisoned, the gesture is appreciated. 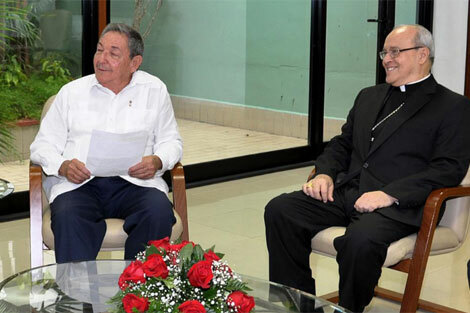 Palm branches for General Raul Castro, the Catholic Church, and the Spanish Foreign Minister, Miguel Ángel Moratinos. Perhaps this news will help to save the life of the dissident Guillermo ‘Coco’ Fariñas. People close to Fariñas told me he was going to suspend his 125-day hunger strike. Moratinos, a man who has been and continues to be sharply criticized by the opposition on the island and also from exile, despite his innumerable efforts to free the political prisoners, and to see Cuba once and for all on the democratic path, fulfilled his promise when he said the month of July would bring surprises. Most Cubans belong to social and mass organizations. While they don’t expressly declare their willingness to belong to them, neither do they argue against it. This fact leads to the presumption that consent in these cases is inferred or assumed. There are a number of assumptions, however, that exclude consent because of a gap between what we really want and our declared will, as in the case of agreement with mental reservations. One of the duties of members of the Committees for the Defense of the Revolution (CDRs) is to keep and defend socialist legality. We imagine a mother who participates in the activities of the CDR; but she tolerates her daughter being a prostitute or allows her son to operate on the black market. Obviously this kind of conduct is a sham, very common in our society. There is another hypothetical where although what is said and what is meant are in perfect concordance, the consent is vitiated by intimidation. This is the case when a citizen feels a rational and well-founded fear of suffering some wrong to his person, property or family, if he does not belong to these organizations. One of the requirements to enter into an employment relationship with the State, the only legal employer in the country, is to present a document issued by your CDR that attests to your conduct and reliability. A negative assessment of your conduct implies that you will not get the job you want or need. This is one of the means that the government has to annul an citizen’s ability to decide and attain self-realization. It is a form of personal intimidation that compels the individual to belong to these organizations. Paragraph 2, Article 20 of the Universal Declaration of Human Rights states that “No person shall be compelled to belong to an association.” In direct violation of this principle, the Cuban government requires its citizens to belong to the social and mass organizations it creates. Finally something is moving, very slowly, but it’s moving. It’s very good that the church of our country came out in defense of our unjustly imprisoned compatriots. It has been a long seven years, waiting for them to be freed, and it’s inconceivable that they have been imprisoned for something which nowhere in the civilized world is a crime: thinking and expressing yourself publicly. We are happy, because they will get their lives back, not only the prisoners of conscience but also their families who have suffered along with those sentenced. 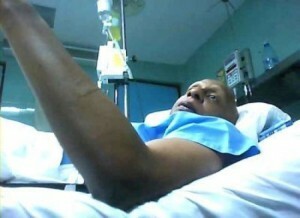 Fariñas says that he will not give up his hunger strike until at least ten or twelve of them have been freed. Time is short. I think that if it only took twenty-four hours to try and incarcerate them, they should be able to free them with the same speed. From here, I want to express my recognition for those who in one way or another have had something to do with this goodwill gesture. As my grandmother used to say, it’s never too late. Friday, July 2, while waiting at the Cinemateca to see the French film Rapt (Kidnapping), I was surprised by the commotion of chairs, books and the songs of Joan Manuel Serrat on the Spanish poet Miguel Hernandez, a recurrent figure in Cuban publishing houses, which they were celebrating on another Book Night at 31 points along 23rd Street in El Vedado, stretching from 14th to the Malecon. 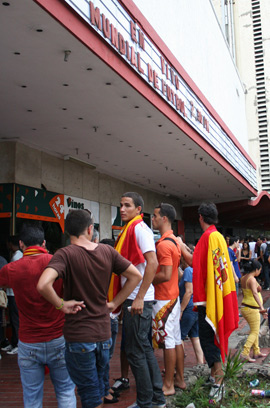 Although rain reduced the flow of the public, late Friday afternoon there were attractive options on the premises of the movie theaters, the parks and the entryways of cafes and restaurants, where passersby could find the works of Jose Lezama Lima, conjured up in an interactive form for his centennial; Miguel de Cervantes Saavedra, author of Don Quixote, around whose sculpture the bookstore In a Place on the Rampa was opening; Dora Alonso, who presented three children’s books in The Blue Driver tent; and authors such as Jostein Gaarder, Carlo Frabetti, Nicolás Guillén, Rogelio Martínez Furé, Ariel Díaz, Joaquín Borges Triana, Joel del Río and the already-mentioned Miguel Hernández, whose Passions, Jail and Death of a Poet, is being sold by the publisher Art and Literature. Book Night is a mini urban fair that takes advantage of the pedestrian spaces which are used by various cultural institutions. 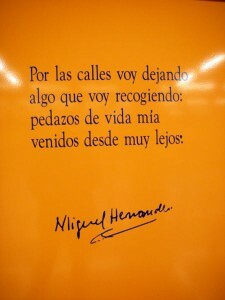 Each publisher brings recent examples, while the move theaters in the area, Casa de las Américas, the Fundación “Fernando Ortiz” and the UNEAC show their usual fare. 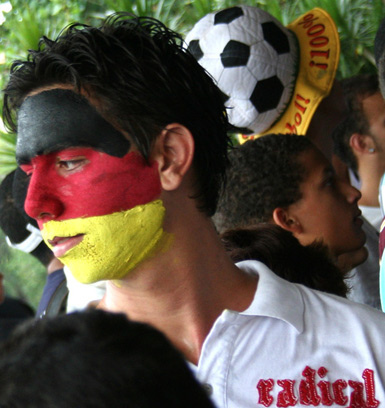 As the current latest thing is the Soccer World Cup in South Africa, the final matches are being shown in the Yara theater, although sports fanatics could also be found on the “hot corner” of 23rd and B, where there were ball demonstrations, sales of the Baseball Guide, and a chance to meet athletes from the Industriales and the Capitalinos basketball team. 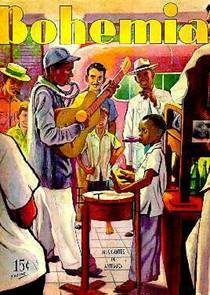 The book sales alternated with “Reading on the Web” (at the FEU headquarters), Art on the Rampa (Cuba Pavillion), a presentation of the Puerto Rican group Otoqui (the park at 23rd and C), a poetry reading conducted by Basilia Papastamatiú (Cafe de G), and the Campesino Gauteque of the El Cochinito restaurant, where the publisher Capiro shared Limendoux, Legend and Reality, by Rene Batista Moreno. Among the novelties of Friday was Physics, Adventures in Thought, by Albert Einstein and Leopold Infeld; three compilations about Africa, two volumes on computing, the anthology Mucho Mas Cuento (Enrique Pérez Díaz), participative spaces on narrative, books and magazines; recitals by singer-songwriters and concerts from Síntesis, Clover and the humorist Antolín in the theaters 23rd and 12, Riviera, and Chaplin, respectively. On Book Night on 23rd Street we appreciate the exclusion of the writers marginalized by the official commissars of culture. 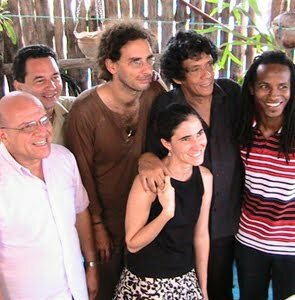 Works of authors who are integrated within the system of stars of the Castro regime predominated: (Miguel Barnet, Nancy Morejón, Cintio Vitier, etc. ), apologetic pamphlets such as Ángel (father of the Castros), and Cuba, Little Giant Against Apartheid, by Hedelberto López Blanch; Media Violence: Words and Images for Hatred and War, by Pascual Serrano, and pamphlets by or about Ernesto Guevara and Fidel Castro, basically a compilation against the dissidents who challenge the dictatorship. In verses, printed on a sheet, would be added — by the same author — the following: “As a spring that / flows eternally / as a path, I will go / and I will never finish going.” Quoting these lines is an intention to honor those eternally absent from the bookstores, but not from our minds. Through the streets I am leaving something that I am going to gather in: pieces of my life come from very far away. Saint Fermin, the patron saint of Pamplona, is not a saint of devotion in Cuba. But this July 7, 2010, the 52 political prisoners of the Black Spring of 2003 and their relatives will never forget him. After many days of prayers and uncertainties, today something has happened. A statement by Raul Castro himself has declared that the Spanish chancellor, Miguel Angel Moratinos, has been informed that the 52 prisoners that remained from the Group of the 75 and which were jailed 7 years ago, will be released. The news that has been going around the world, while I write this post, had not yet been known to the majority of the internal opposition nor to the remarkable Ladies in White. A very important part of this victory is due to them, and also to the name of Orlando Zapata Tamayo, which we will dedicate it to his mother, Reina Luisa Tamayo. 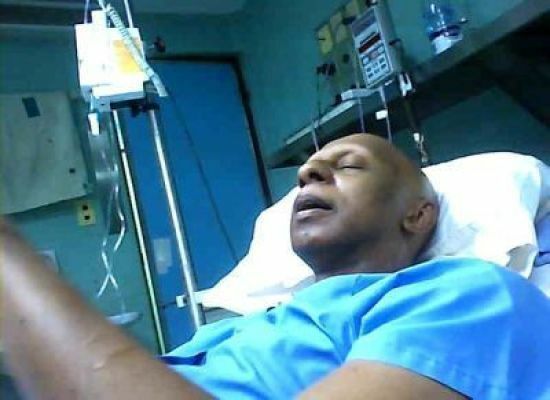 And if this news came just in time for someone, it is for Guillermo Fariñas, who we hope will abandon his hunger strike and will commence the slow recuperation process of his damaged body. The names of the political prisoners who will leave Cuba are still unknown, as is whether it will be immediately or within the next few months, and if they will leave alone or accompanied by their closest relatives. But today, in a telephone call from his son Jimmy, 11. In and out of the island there have been, and will continue to be, many different opinions, in favor and against the negotiations between the government, the Catholic Church, and Spain. Debate is healthy. Let us continue debating. Let us draw lessons from this and let us attempt to leave irreconcilable divergences aside, both in the opposition and in the exile. Differences aside, for the family members of these 52 prisoners, July 7, 2010, the day of Saint Fermin, will be unforgettable. In order to reach the end of a long path, it’s not always the best option to run. Most of the time it is better to walk slowly. Step by step. And today, whether we like it or not, Spain and the Catholic Church, along with other mediators, have taken the first steps to empty the jails of this island of Cubans whose biggest crime has been to think differently. Photo: joseliusgildela, Flickr. 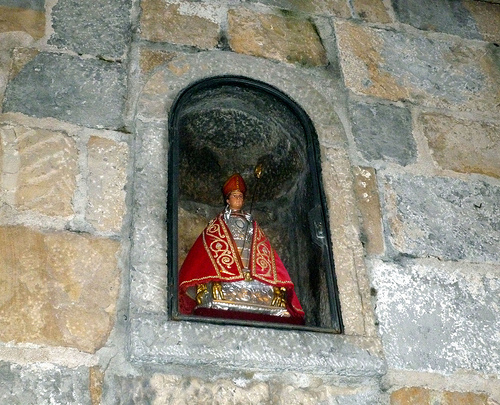 Saint Fermin in the Cuesta of San Domingo in Navarra, Spain. Author Translating CubaPosted on July 8, 2010 Categories Ivan Garcia, Translator: Raul G.
As a child, I remember the great commotion that erupted with the discovery of oil on the beach in Guanabo. The enthusiasm was such that it seemed that our need for crude would be solved with these wells. In the best native chauvinism, it was as if we would to prove to the Americans and Soviets that we didn’t need them. Many years later the Guanabo oil is remembered for the filth and stench of sulfur that it left on the beach. Nobody talked then of analyzing the cost/benefit relationship. That was a time when the term environmental pollution had not appeared. I wouldn’t be thinking of this anecdote if I hadn’t seen, along the coast between La Habana del Este and Cojimar, a tower and several oil rigs, right on Route 58 (Bus Station = Reparto Bahia); I heard there would be more because the Chinese are investing. Now that we are indeed familiar with terms such as environment, ecosystem, environmental licensing, and related pollution, I wonder if we analyze the cost/benefit. I am no specialist, but is it worth it to get oil out of the city and run the risk of death damaging its deteriorating but beautiful heritage? On Tuesday night, June 29, in the city of Pinar del Rio, we delivered as part of the jury, the prizes in the contest of the independent magazine Convivencia (Coexistence). Upon entering the house of Karina Galvez, one of Dagoberto Valdes’s most fervent collaborators on their publishing project, we were welcomed to what was left of her home, because by providing office and meeting space for citizens she earned a visit one morning from several State officials, escorted by the police, who invaded her property and destroyed the back wall, splitting the house in two. From the street you can see the double wall now dividing the house: one of concrete and one of metal plates, which serves, of course, as a blackboard to capture the drawings and free thoughts of her visitors. Ultimately, the officials are not guilty of carrying out their disagreeable role. We know that later, as in the Nuremberg Trials, they will say they were just following orders and if they refused they would have lost their jobs and in the end, others would have replaced them. These murderers have no conscience — and neither does it the country’s police hierarchy, which ordered this action in violation of the several of the most elemental human rights — so their conduct, rather than angering us, causes us pity, as that in our eyes they are so unhappy and miserable. However, as I said publicly to Karina, I feel so proud of her and her family, and even envious. I am afraid I’m not up to her level, as in spite of everything she hasn’t lost her constant smile. History has shown us that “walls” are demolished. This wall is a symbol that the sacrifices of Dagoberto Valdes, the editorial team of Convivencia, and the participants in the civic education workshops, are necessary. I couldn’t help going to visit Idalmis Nuñez Reinosa’s house when I heard that after being hit and kicked by the police in Placetas on Saturday the 3rd, she was “repatriated” by the same police force to her home town, Santiago de Cuba, I found her covered with bruises and scratches on her skin and with sore muscles that barely let her sit down. I could see for myself that the “police men” taught her. Later on I decided to visit Anderlay Guerra Blanco in Guantanamo and finish a conversation with him that we had left hanging. I was there until Wednesday the 7th, when I decided to return my town. I left in the early morning, at 4 am, and logically I had to walk the streets of the city to get to the bus station, the only place where, at this hour, I could find a ride to another place. I didn’t make the trip alone. Rolando Rodríguez Lobaina was with me and we tried to travel together through the inevitable streets of the town. We were detained by the police who put us in a patrol car and took us to the People’s Revolutionary Police (PNR) station known as Park 24. Investigation. Police control. Researching our identity. We were there two hours. Long enough to know the Guantanamera night and early morning in a military joint. Two officers from the G-2 or State Security as the political police are called in our country even came, as they didn’t have authorization to let us leave. It became clear to us that if we couldn’t explain our presence on the streets we could be accused of spending the night in dark places and at an hour which, according to them, was dangerous. Along with us, more than six citizens had been detained, all young. According to what they told us the police picked them up in a park because they were talking and drinking alcohol and this turned them into people likely to commit crimes and the cops wanted, this time, to warn them. It is a repressive system that operates in the nights and early morning in several villages in my country, some acquaintances told me. At least I was a witness while walking, before the break of dawn, through streets that are dark because in my country there are no street lights. To consent means to express, explicitly or implicitly, agreement with something. A decision that is legally binding, because one assumes rights and obligations. This way, the consent becomes a requirement of the capacity to act. The capacity to consent is subject to restrictions. Principally, when the consent is given by a non-emancipated minor, a deaf-mute person unable to read or write, or a person who is mentally ill. 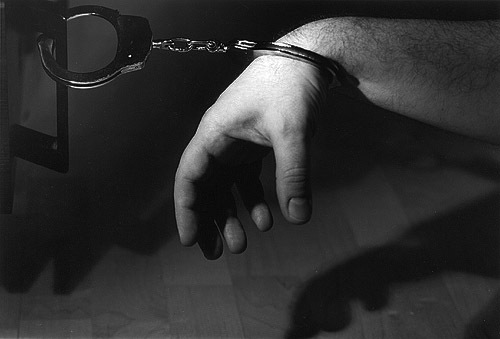 The consent granted in these cases is not considered to be the result of free will and deliberation. 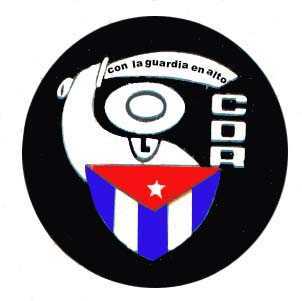 The Committee for the Defence of the Revolution (CDR) is an organisation which joins together the majority of social groups in the country. Article 7 of its statutes stipulates that “the request to join the organisation is an individual and voluntary act (…).” One of the requirements for entry is to be 14 years of age or older. In Cuba the age of majority is 18 years and from this moment on a person attains his or her full capacity to act. As an exception to this rule, also considered emancipated are married females older than 14 years and married males of age 16 and above. Adolescent persons, at 14 years of age, are neither fully responsible for their actions nor are they free to fulfill the requirements for joining the CDR. Much less are they capable of assuming the obligations implied by membership. Do they possess the economic resources to pay for their share in the self-financing model of the organisation? The case of persons legally declared incompetent is very similar. I am speaking of deaf-mute or mentally ill persons who are registered members of the CDR. Did they consent to agree with the Revolution and to be prepared to defend it? Did they accept the statutes of the organisation? Are they able to behave in accordance with the ethic and the principles of the Revolution? In Cuba, the mass social organisations register the citizens as members without asking for their consent. This fact is a violation of the individual rights of the people. During the night hours of this past June 26th the common prisoner Roberto Rodriguez Ramos died of a heart attack in the provincial prison of Canaletas in Ciego de Avila. 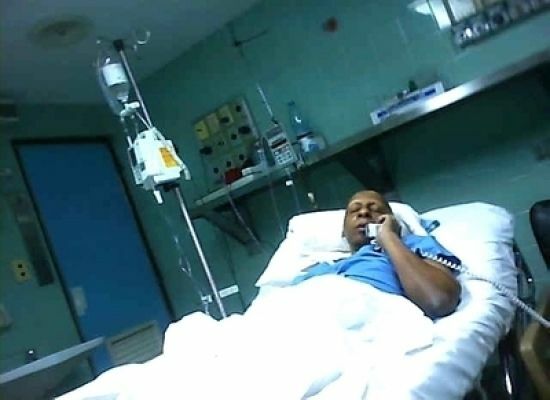 The functionaries of the Order of the Interior of the jail took Rodriguez Ramos to the provincial hospital Antonio Luaces Iraola after the prisons doctor checked him, according to the source which prefers to remain annonymous due to fear of reprisals. The source added that the prisoner, 54 years of age, died in the clinic mentioned above. 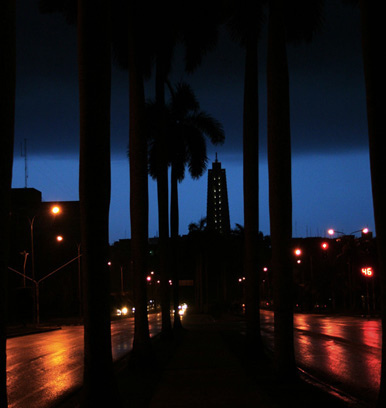 Roberto Rodriguez Ramos was a resident of the Cuban capital. In addition to this now deceased prisoner, there is a group of over 100 Havana residents that find themselves in this province under the indication of the National Direction of Penitentiary Establishments which goes directly against the will of the prisoners themselves and their family members. Roberto Rodriguez Ramos was jailed in “Tarea Confianza”, the prison adjacent to Canaletas. We must also remember that in a matter of 20 months, 5 men have comitted suicide. Among the victims are the blind Rautel Fernandez Prieto. The source concludes this leak of information by stating that this very jail has one of the highest rates of suicide and self-affliction in the entire country. They add that this very well could be the reason why Colonel Reinerio Diaz Betancourt, the ex-director of Canaletas, was removed from his position.